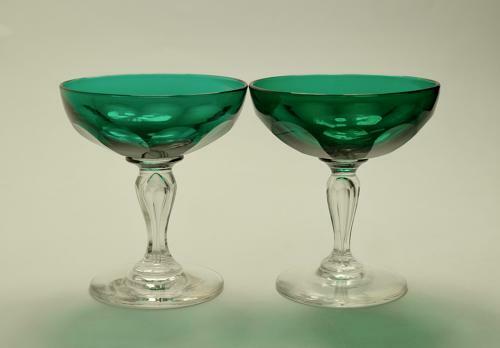 Pair of champagne glasses. The green bowl with wide cut flutes and cut stem plain flint stem. The feet with polished pontil. English C1880.